Ana Tramel is a lawyer with a dark past who has reached the lowest point in her career. Years before, she was a brilliant barrister specializing in important media cases, taken on by the city’s best firms. She now spends her days between resource management in a mediocre buffet, anaesthetising her emotions in a glass of whiskey. One morning, still recovering from a habitual hangover, Tramel receives a call from the past. Her brother Alejandro, with whom she hasn’t spoken for five years, calls from the station of the Spanish Civil Guard in Torreledones. He has been arrested for the murder of the director of the Castilla Grande Casino. He desperately asks for her help. Although she has been out of the practice for ages she is the only person he can trust. Reluctantly Ana sets off. Tired and out of training, she trusts no one, not even herself. But, after all, it is her brother. During the investigation to prepare the defence she discovers a number of things: The first is that the crime has been recorded on the Casino’s closed-circuit television. Secondly, Alejandro had gambling debts of almost eight hundred thousand euros. And thirdly, her brother is a box of surprises; as well as being a compulsive gambler and a murderer, he has a two-year-old son. 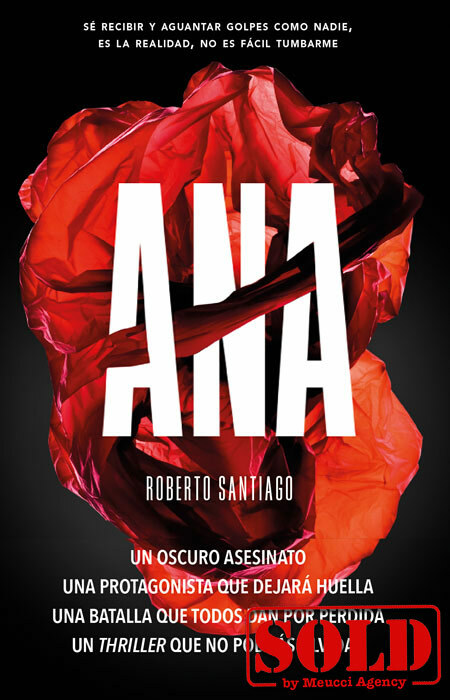 Ana asks Concha for help, her boss and an old friend from the Law Faculty. She needs the organisation and resources of an office in order to prepare a defence that has everything going against it. She convinces her in exchange for reassurances she will stop drinking and will renew her belief in the judicial system; promises she knows are beyond her. Tramel prepares a peculiar outfit to take on the case. Its members: an elderly retired investigator, a novice lawyer whose greatest merit is having stolen the entry exams from her law school, and a gambler who would sell his mother for a fistful of cash. What Ana doesn’t know is she will have to take on the biggest companies in the game. The appearance of a malicious homicide hides a much more complex plot, above all the eternal struggle of man: good versus bad, reason versus feeling, and a forty-something lawyer addicted to pills and alcohol, against an Corporation with assets in the billions. In ANA nothing is what it seems. Not one of the characters is exactly a saint. And as Patricia Highsmith said of one of her stories ‘they are going to see a woman do what no male protagonist in literature of the past forty years would dare: behave with compassion, heroism and expose her body and soul to humiliation’.